Archdiocese prepares to launch Digital Initiative to provide websites to parishes. Published 1/18/2019. Local. BRAINTREE -- The Archdiocese of Boston expects to launch its Digital Initiative, a program to provide parishes with a free platform and templates for their websites next month. The multilingual platform will feature e-commerce, email accounts, mobile responsiveness, and syndicated content from the archdiocese, such as links to The Pilot and Cardinal Seán P. O'Malley's blog. The idea for the initiative stemmed from the desire to redesign the archdiocese's main website, bostoncatholic.org, according to Director of Digital Strategy and Engagement Anastacia Morabito. "As with every website, it reaches a sort of shelf life," Morabito said, adding, "If you don't update the technology and you don't update the design, the marketplace moves beyond what you have in place." As the process began, however, there was a change in focus. 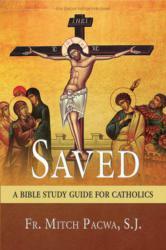 "We realized that the need really existed with the parishes. So, we shifted the focus to serve the parishes first and try to get their websites up and running so they could truly reach the parishioners more effectively," Morabito said, speaking to the Pilot on Jan. 11. 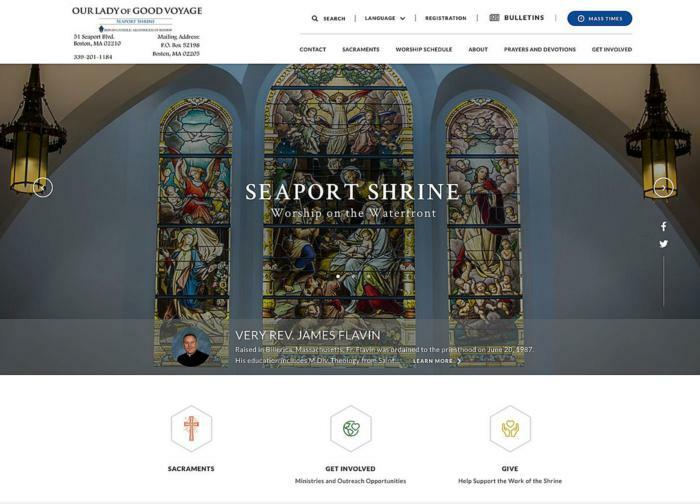 The archdiocese partnered with Liberty Concepts, a digital communications agency, and Acquia, a software-as-a-service company, to design, develop and host the parish template websites and digital platform. Chancellor John Straub helped get approval for the initiative from the Archdiocesan Finance Council. Straub said the council was eager to see how social media can be used for evangelization. "The vision for the project is basically to help parishes step forward into the digital arena more on the social media front. Some parishes do a good job of that, but most don't have the equipment capacity, the tools, or the knowledge or training to successfully use social media, and that certainly is an important aspect for evangelization," Straub told the Pilot Jan. 15. Although the finance council members do not all use social media in the same way, Straub said, "The one thing that they all noticed was that the Church doesn't necessarily make great use of it, currently. The archdiocese does not, as a whole. 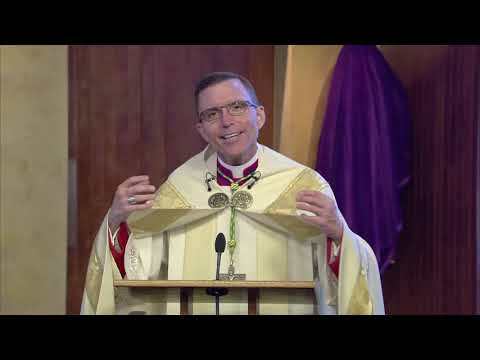 We have pockets where there is some great expertise, and some wonderful use, but the missing link is that it's not available in all parishes." Morabito said her office has been working directly with parishes -- 14 collaboratives, two shrines, and the Cathedral of the Holy Cross -- for the past two years, using their feedback to build website templates that will be available to all parishes in the archdiocese. The office also surveyed 1,600 Catholics in the Boston area and used their responses to guide the Digital Initiative's focus. Some "key components" of the feedback, Morabito said, were support for priests, Catholic education, and charities. "Essentially, what we're trying to do is manage the website process from all the contracts and the [website] developer, recognizing that those skill sets don't necessarily exist in the parish staff. 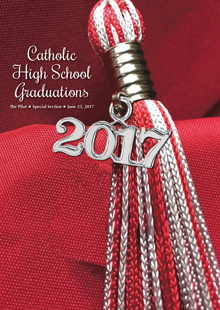 We'd like to manage those things centrally so that the parish staff can really focus on the content on the website," Morabito said. Straub explained that using the Digital Initiative's platform will be less costly and more efficient for parishes, enabling them to reallocate funds that would have been used for web hosting and web development activity. He said he hopes this will help parishes shift their focus from website maintenance to the messages and ministries they want to promote. "The idea was to create a larger community of information that could be brought forward easily into each parish, but that still allows the parish to really control the design and to choose what content they want to offer," Straub said. He added, "It won't require them to hire a full-time IT expert or a web designer to be able to man this, but really somebody who's more interested in selecting the right content and then using it as an evangelization tool." Straub said the "single greatest challenge" in this process has been designing an ecosystem to meet the needs of the archdiocese's 300 parishes and 80 schools. "You want it to be customizable and scalable to meet all of those needs, but you also want to keep it as simple as possible," Straub said. Morabito said there has already been some training for parish staff members to use the platform and the archdiocese will provide continued support to them. "We don't intend to just launch a product and leave them. We intend to answer questions they might have," Morabito said.